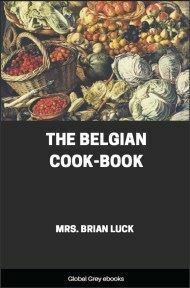 Seventy-five recipes divided into four sections. 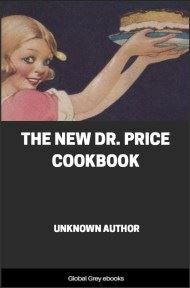 Recipes include: Puff Paste; Common Paste; Mince Pies; Plum Pudding; Lemon Pudding; Orange Pudding; Cocoa Nut Pudding; Almond Pudding; Black Cake, or Plum Cake; Sponge Cake; Almond Cake; French Almond Cake; A Cheesecake; A-la-mode Beef; Chicken Pudding; A boned Turkey; Collared Pork; Spiced Oysters, and many more. 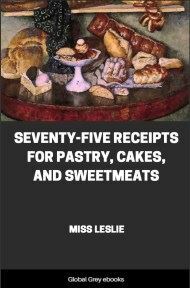 The following Receipts for Pastry, Cakes, and Sweetmeats, are original, and have been used by the author and many of her friends with uniform success. They are drawn up in a style so plain and minute, as to be perfectly intelligible to servants, and persons of the most moderate capacity. All the ingredients, with their proper quantities, are enumerated in a list at the head of each receipt, a plan which will greatly facilitate the business of procuring and preparing the requisite articles. 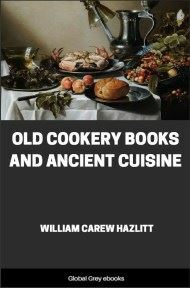 There is frequently much difficulty in following directions in English and French Cookery Books, not only from their want of explicitness, but from the difference in the fuel, fire-places, and cooking utensils, generally used in Europe and America; and many of the European receipts are, so complicated and laborious, that our female cooks are afraid to undertake the arduous task of making any thing from them. The receipts in this little book are, in every sense of the word, American; but the writer flatters herself that (if exactly followed) the articles produced from them will not be found inferior to any of a similar description made in the European manner. 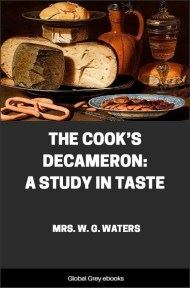 Experience has proved, that pastry, cakes, &c. prepared precisely according to these directions will not fail to be excellent: but where economy is expedient, a portion of the seasoning, that is, the spice, wine, brandy, rosewater, essence of lemon, &c. may be omitted without any essential deviation of flavour, or difference of appearance; retaining, however, the given proportions of eggs, butter, sugar, and flour. But if done at home, and by a person that can be trusted, it will be proved, on trial, that any of these articles may be made in the best and most liberal manner at one half of the cost of the same articles supplied by a confectioner. And they will be found particularly useful to families that live in the country or in small towns, where nothing of the kind is to be purchased.